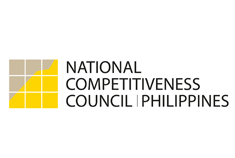 An adequate infrastructure is critical to support the continuous growth of the country, thus NCC then established the Infrastructure Working Group to recommend policies and come up with solutions to address lack of infrastructure in the Philippines. Recently, it was reorganized into Transport, Infrastructure, Trade and Logistics (TITL) Working Group to expand its coverage to the trasportation and logistics sectors. The working group aims to craft policies and strategies that will facilitate the development of a robust logistics network to support Philippine industries.